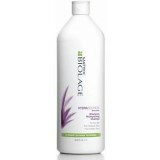 Quench dry, thirsty hair with state-of-the-art formulas inspired by nature that mimic the moisture retaining properties of the Aloe Plant. 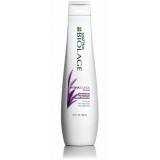 Hair’s hydration levels are optimized through the absorption and retention of these moisturizing hair care products. 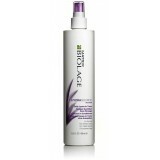 Biolage HYDRASOURCE Detangling Solution 400mL Dry hair can be prone to breakage an..
Biolage HYDRASOURCE Mask 150mL Dry hair often looks dull and lacks manageability. 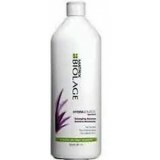 ..
Biolage HYDRASOURCE Shampoo 400mL Dry hair often causes frizz, split ends and lack..
Biolage HYDRASOURCE Shampoo 1000mL Dry hair often causes frizz, split ends and lac..
Biolage HYDRASOURCE Conditioner 400ml Dry hair is often difficult to detangle, lac..
Dry hair is often difficult to detangle, lacking softness and shine. Here's the answer: ..
Biolage HYDRASOURCE Detangling Solution 1000ml Dry hair is often difficult to deta..
Biolage HYDRASOURCE Daily Leave-in Tonic 400ml Dry hair can cause frizz, stati..